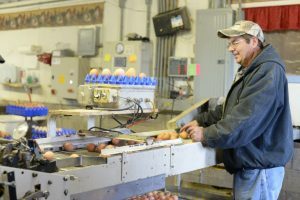 AgrAbility client Brain, a Pennsylvania farmer who produces eggs, demonstrates an egg packing device. AgrAbility helped him obtain an egg packer to enable him to continue farming and increase his independence. AgrAbility PA assists farmers and other agricultural workers with disabilities or long-term health conditions by providing the resources and support they need to live independently and to continue working in or return to production agriculture. 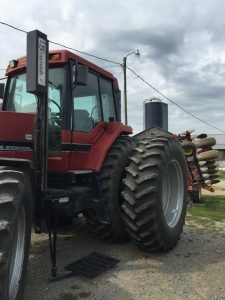 AgrAbility strives to connect individuals to relevant and supportive resources for their agricultural endeavors. Below is a partial list of resources AgrAbility frequently recommends. Individuals in agriculture who are interested in more specific recommendations should contact AgrAbility staff for a customized plan. Arthritis and Agriculture – Provides education and support of agricultural professionals and their families affected by arthritis. Penn State Agricultural Safety and Health – Provides ag safety and health programs to reduce exposure to hazards, safety training for youth, and training to manage agricultural emergencies. Pennsylvania Office of Rural Health (PORH) – Works with local, state, and federal partners to achieve equity in, and access to, quality health care for Pennsylvania’s rural residents. Throttle Back on Stress – An article and other resources to encourage agricultural workers to prioritize stress management. 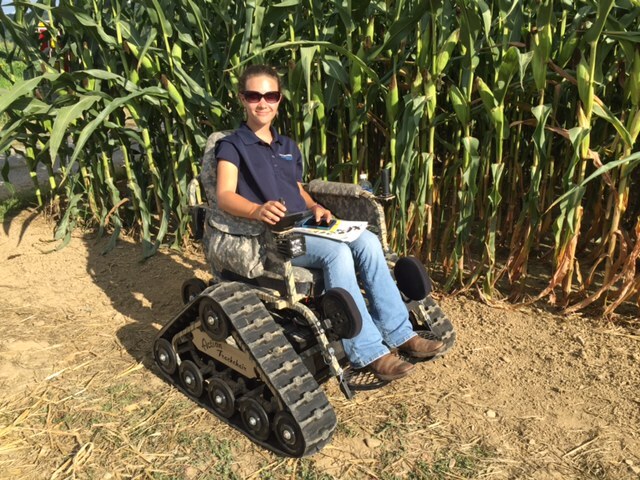 AgrAbility Project Assistant Abbie Spackman, who works with clients to make a customized plan, is testing out assistive technology. The National AgrAbility Project – The Toolbox Database contains information about assistive technology solutions for farmers and other agricultural workers with disabilities or long-term health conditions. Disability Work Tools – provides unique and customized assistive technology solutions for agricultural works and various trades. One of AgrAbility’s favorite products is the Gripeeze Gloves! Life Essentials – Offers a wide range of mobility products, agricultural lifts, mobile lifts, residential lifts, outdoor recreational and customized assistive technology products. 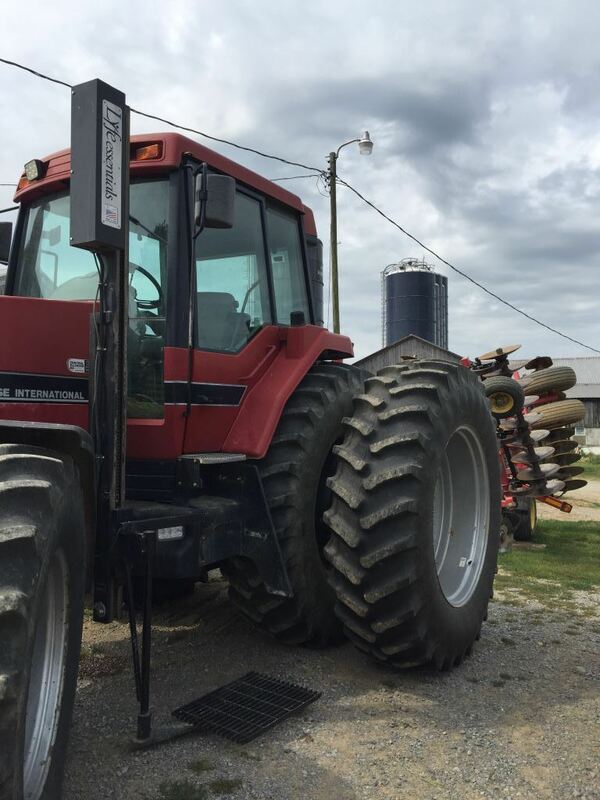 A Life Essentials Platform lift installed on a tractor at a Pennsylvania farm. The farmer needed assistance accessing his tractor due to a lower extremity amputation and this device helped restore his independence. Penn State Extension – An educational organization focused on delivering science-based information to individuals and communities. Workshops, events, online course and program information can be found on their website and at county extension offices. Farm and Ranch eXtension in Safety and Health (FReSH) – The eXtension community of practice that provides user-friendly agricultural safety and health information. Pennsylvania Association for Sustainable Agriculture (PASA) – provides information and educational workshops for farmers that focus on sustainable production practices and local food systems. The Center for Dairy Excellence – Provides information such as business tools, consulting and market updates to dairy farmers while also promoting the dairy industry to consumers and educators. A new resource on their website lists resources for overcoming stress on the farm. For information on financial assistance resources please visit the AgrAbility PA website “Financial Resources” tab. For resources specific to veterans please visit the AgrAbility PA website “Veterans” tab. Assistive technology comes in all shapes and sizes. If you can explain why something is assistive technology for you, we can help you fund it. Read more about how PATF can help.